Marina Real is one of the most prestigious developments in the area. 2 bedroom/2 bathroom apartment in this new development within 2 minutes walk to safe, quiet, blue flag beach and Marina, with 2 swimming pools. Our apartment has had a recent refurbishment. It has marble floors throughout, is fully air conditioned/heated with one double bedroom with en-suite bathroom which has a Jucuzzi bath, shower, bidet etc. The 2nd bedroom is twin bedded, the 2nd bathroom has a full bath with shower. Both bathrooms are marble throughout. The bedrooms have ample storage. We can accommodate up to 5 with a camp bed suitable for child, payable locally. The lounge/dining room is newly furnished and includes satelite T.V. 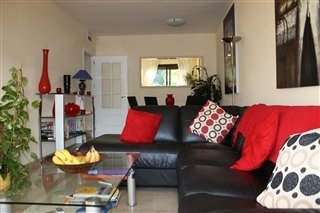 with full access to the freeview channels and D.V.D. The lounge opens onto a furnished terrace with afternoon/evening sun. 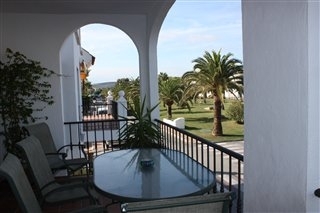 Duquesa is known as one of Costa del Sols best kept secrets. It boasts a lively port with many yachts. The Marina has lots of bars and restaurants with a wide choice of menus. 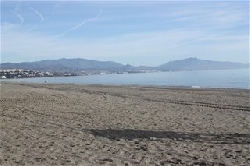 Duquesa is not a typical Costa del Sol resort, it has a unique charm which brings visitors back year after year. There are shops and banks within walking distance. Duquesa is situated between Estepona and Gibralter which has duty free shopping and only a 20 minute drive from trendy Marbella and Puerto Banus with their wealth of designer shops. Malaga airport is approximately 50 minutes drive and Gibralter Airport is only 20 minutes away, alternatively Jerez airport on the Costa de Luz is approximately a 1 hour. Cabs are available for airport transfers should you prefer not to hire a car. We have a local agent who manages the apartment for us, this ensures that you will be looked after whilst on holiday. We supply linen and can arrange for a weekly clean at a smacan ll extra charge. We offer a meet and great service and supply a welcome pack for your immediate needs, payable locally. 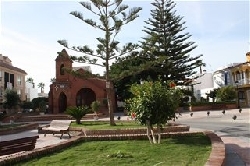 There are several championship golf courses in the area and Duquesa Golf course is only a 5 minute walk. 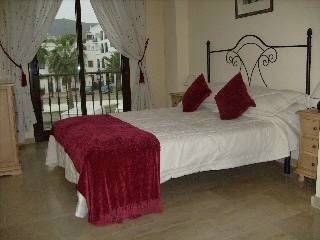 Please contact the owner for Christmas/New Year and last minute rates. Weekly maid service and linen change. Payment is made direct to owner. Sorry no credit cards. We can offer short breaks, minimum of 4 nights, please contact for details. We provide a meet and greet service where you will be given the keys and shown round the apartment. We also supply a basic welcome pack for your immediate needs.